U.S. Sen. John Barrasso has a $2.5 million campaign fund that no other Wyoming politician is expected to match in time for the Nov. 6 general election, much less the August 21 primary. Barrasso, a former state lawmaker and Casper physician, was appointed to the Senate in 2007 to fill the late Craig L. Thomas’ remaining term. He won the special election for the seat in 2008 and is up for his first full six-year term in November. During the 2008 election, Barrasso’s campaign committee raised a total of $2.5 million and spent $1.9 million. 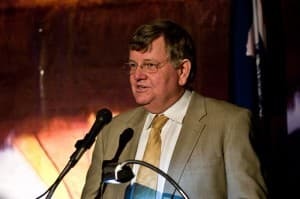 The money overwhelmed the $273,688 spent by Democratic nominee Nick Carter, according to OpenSecrets.org. Barrasso beat Gillette attorney Carter 73.4 percent to 26.6 percent with 249,265 votes cast. He’s on pace to do that again and so far the opposition candidates have little money and limited name recognition. Much of Barrasso’s campaign money comes from the oil-and-gas industry, the health-care industry and other business interests — including nuclear weapons — that play important economic roles in Wyoming and the nation. But what role the donations play in Barrasso’s policy decisions and how that kind of campaign money will influence his reelection is an open question. “It always seems like to me that opponents of a politician, regardless of party, believe that the other guy is bought and paid for by special interests while their guy is most virtuous,” said Bill Cubin. Cubin is a prominent conservative Republican, whose mother Barbara Cubin represented Wyoming in the U.S. House of Representatives for 12 years. A Barrasso supporter, Cubin has worked for Wyoming campaigns such as conservative-favorite Ron Micheli’s unsuccessful run for the 2010 gubernatorial nomination. Cubin said Barrasso has $2.5 million because Barrasso’s status is on the rise in the national Republican Party and he has worked hard to put himself in a position to champion conservative causes. The senator is an aggressive fundraiser, and he is part of Senate Republican leadership, Cubin said. 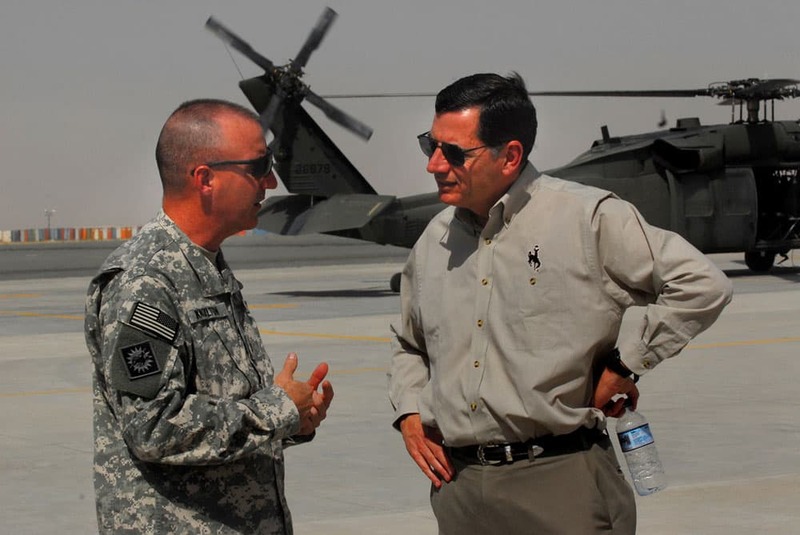 Barrasso has risen to chairman of the Senate Republican Policy Committee, the fourth highest position in Republican Senate leadership. He also serves as chairman of the Senate Western Caucus. Many conservatives from around the nation agree with Barrasso’s views and see him as potential national leader for the political right, Cubin said. As he rises in the Party, Barrasso has also been given important committee assignments, which bring not only influence on legislation but donations from interested parties. 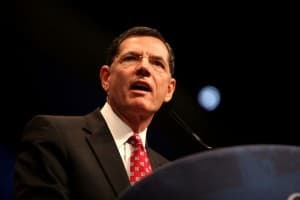 Barrasso is a member of the Energy and Natural Resources Committee, Environment and Public Works Committee, Indian Affairs Committee and Foreign Relations Committee. But Barrasso’s opponents say the donated money plays a critical role in his policy decisions. Farquhar said that unlike senior Wyoming Sen. Mike Enzi, also a conservative Republican, Barrasso is unwilling to work toward compromise with Democrats. That may be a symptom of an increasing ideological divide in the Senate and the desire of those like Barrasso with obvious leadership ambitions to appear strident. Unraveling the tangle of interests and influences on a politician’s decision making is rarely easy, though. And perhaps a prime example of the complexity of influences in the case of Barrasso can be found in the debate over the treaty between the United States and Russia reducing nuclear weapons in the two largest arsenals on the planet. In 2010, Barrasso emerged as a vocal opponent of the New Strategic Arms Reduction Treaty (New START) between the United States and Russia. Some noted Barrasso’s hard swing to the right with surprise. Judging by the numbers, Barrasso would seem to have a safe position in the Senate. Republicans are an overwhelming majority of the electorate in Wyoming. As of June, the Secretary of State reports that there are 144,109 registered Republicans in Wyoming compared to 46,800 Democrats, 22,685 unaffiliated and 855 Libertarians. According to Open Congress, Barrasso votes with his party 92 percent of the time.Yet Democrats and middle of the road Republicans have been successful politicians in the Cowboy State, causing the Star-Tribune’s editorial board to wonder. “On this vital issue, Wyoming could use a statesman who has consistently demonstrated the ability to compromise and find middle ground. We have one, but Alan Simpson is retired and living in Cody. He can’t vote in the Senate,” the editorial said. Former Sen. Simpson, also a Republican, voted for the original START in 1992, and had written an op-ed supporting the New START as the only way to verify that Russia would reduce its nuclear arsenal. Simpson has also been an outspoken critic of the congressional drift away from compromise. Serving in the Senate from 1979 to 1997, Simpson knows well the politics and economic interests surrounding the silo-based Intercontinental Ballistic Missiles (ICBMs) manned by personnel stationed at F.E. Warren Air Force Base in Cheyenne. Wyoming’s congressional delegation is ever ready to defend the need for the base and the 150 missiles under its command. Warren Air Force Base contributes $364 million to the Cheyenne area economy, Maj. Gen. C. Donald Alston told the Greater Cheyenne Chamber of Commerce’s Military Affairs Committee last year. That includes $221 million payroll from the base, about $81 million in construction projects and the rest in indirect jobs created from the base, said the commander of the 20th Air Force, which is responsible for Warren. Loss of the commerce generated by that money could be damaging to Cheyenne and the state’s economy. While hundreds of billions of dollars will be spent over the next decade on nuclear weapons, there will be fierce competition for fewer dollars. The men who run the United States’ nuclear force say that cuts appear inevitable. Both former Vice-Chairman of the Joint Chiefs of Staff General James Cartwright and General Robert Kehler, the head of U.S. Strategic Command, said in 2011 that they don’t believe funding will match past spending. But as nuclear weapons funding becomes increasingly competitive, Warren may have some disadvantages against other weapons delivery systems and facilities. Along with the potential that silo-based missiles in Wyoming might be considered a Cold War relic compared to submarine- and aircraft-based weapons, for example, Warren is an Air Force base without a “flight line.” There are no facilities on base to land and maintain military aircraft. So, although Barrasso opposed New START on strategic grounds, he had plenty of parochial reasons to try to stop the treaty or protect the weapons overseen from Cheyenne. 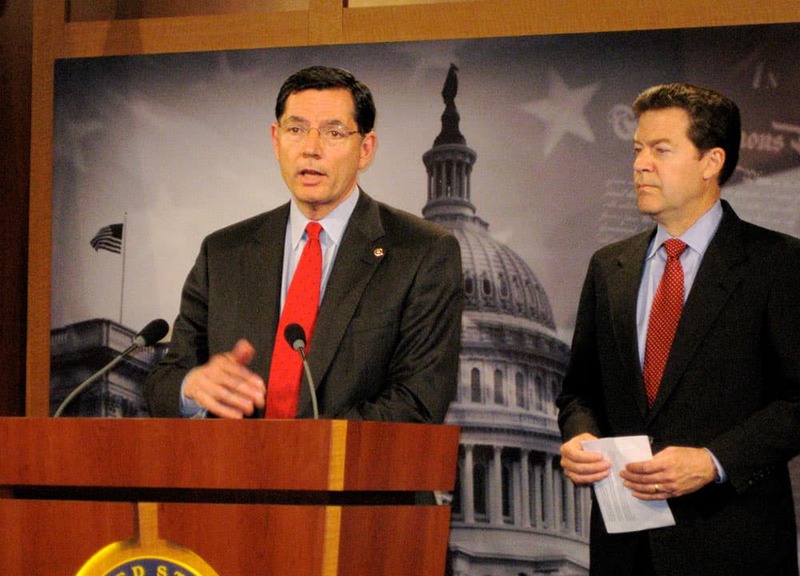 Barrasso voted against New START in the Senate Foreign Relations Committee in September 2010. The committee approved the treaty with a 14-4 bipartisan vote. Barrasso also offered an unsuccessful amendment in committee to maintain all 450 silo-based Minuteman IIIs, rather than reduce them to 420 under START. Those weapons may be far more than needed, according to civilian scientists who work for the Air Force. In a New York Times op-ed piece, Gary Schaub Jr., an assistant professor of strategy at the Air War College, and James Forsyth Jr., a professor of strategy at the School of Advanced Air and Space Studies, said the START treaty does not diminish the nation’s ability to respond in overwhelming fashion to a nuclear threat. The two civilian scientists who work for the Air Force said the increasing power of nuclear weapons mean the United States could devastate a nation the size of Russia with fewer than 350 modern ICBMs. The Strategic Arms Reduction Treaty issue illustrates the tangled confluence of policy interests from geopolitical to local, issues of war and peace that affect main street business, but cynics would say there is another influence. And former Sen. Simpson points out the Senate is much more ideologically divided today than when he was there. The path to party leadership in the Senate is no longer through the art of compromise, either. A study released in June lists Barrasso as the fourth leading recipient in the Senate of campaign contributions from the nuclear weapons industry. The industry is nonpartisan in its political donations, according to “Bombs Versus Budgets: Inside the Nuclear Weapons Lobby,” by William D. Hartung with Christine Anderson, issued in June 2012 by the Center for International Policy. The three senators who receive more money than Barrasso from the nuclear weapons industry lobbyists are Democrats. 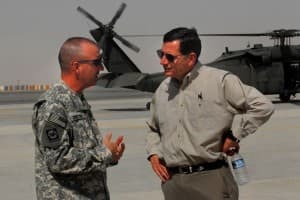 The battle Republicans such as Barrasso have been fighting to make national deficit and debt a central issue this election year becomes another opportunity for his opponents to claim hypocrisy in advocating for more expenditures on nuclear weapons, as well. The Barrasso campaign did not respond to requests for an interview or answer emailed questions. Barrasso had a lot of reasons to oppose New START, so calculating the amount of influence exerted by campaign contributors is impossible, yet some argue it always plays a role. “Policy decisions bend toward money,” said Ken Gordon. The former Colorado state senator started CleanSlateNow.org in October 2011 to support local and national candidates who do not take special interest money. When companies and lobbyists contribute to a political candidate, they buy access and influence, Gordon says. Politicians may even convince themselves they are not being influenced by campaign donations, but there is no doubt that contributors will get the politician’s ear, while citizens without money may be crowded out. Gordon’s organization supports candidates who do not take campaign contributions from special interest political action committees (PAC), and who agree to run honest and respectful campaigns. Gordon says that the influence of money has to be taken out of the electoral process for a functioning democratic system. Whether the money comes from the right or the left, from unions, corporations, trial lawyers, oil companies or any other special interest, Gordon said, it is corrupting the political system. “Money is an important factor in campaigns; there is just no way around it,” said Wyoming Gov. Matt Mead told WyoFile. Barrasso’s harshest critics say a big cash advantage means the junior senator will be able to avoid unfriendly press and confrontations with critics. Instead he can use advertising and appearances on friendly conservative radio and television shows. The increasing amount and importance of money in political campaigns is corrosive, said Phil Roberts. Roberts is a University of Wyoming associate history professor who is running against Barrasso as an independent. Roberts added that voters should be concerned about secret money is being injected into U.S. politics due to recent Supreme Court opinions. On an issue such as New START, Russia or another foreign interest could be pumping dark money into the U.S. electoral process to influence politicians, he said. Roberts said his campaign will focus on one-on-one interaction with people while stomping the state from border to border. “If it can’t be done in Wyoming it can’t be done anywhere,” he said of successful face-to-face campaigning. The small size of the population and the tradition of personal politics provide that opportunity. Albany County Commissioner Tim Chesnut is running as a Democratic candidate against Barrasso with the same vision. “I don’t know if I have a snowball’s chance in hell,” he said. Like Roberts, though, he said the small population of the state gives him hope he can make his case despite the disadvantage in money. “I think people are buying elections,” said Chesnut, and he hopes campaigns like his can reverse that trend. Chesnut or any other Democrat is unlikely to see a lot of financial help from the state party. “The (Wyoming Democratic) Party believes that Democratic candidates can beat their Republican opponents by working smarter, harder and in the case of congressional or state-wide races, longer,” said Farquhar, the party communications director. He says former Democratic Gov. Dave Freudenthal showed that it could be done in 2002. He surprised the heavily favored Republican nominee Eli Bebout, now a state senator, to win and went on to a second term. Farquhar said Wyoming Democrats do not have a candidate who has done that kind of groundwork this year, though. “So there’s little chance that Barrasso’s financial advantage can be countered this year,” he said. Roberts said that Wyoming history and the history of the West in general shows that money in politics allow a small class of people to control natural resources and government. Those people may not even live in the state, he said. That is a frightening trend, Roberts said. And Roberts added that the secret campaign money that has been allowed into the system by recent U.S. Supreme Court decisions are even more troubling. In the case of an issue such as the New START, he said, there is potential for foreign governments to try to use dark money to influence U.S. elections. Those on the side with the financial advantage, though, tend to see the potential for campaign money corruption as overemphasized. Barrasso’s supporters say the donated money does not shape his thinking, but rather reflects support for his positions. “I believe most people in Wyoming who donate to his campaign do it because they think he represents Wyoming well in the U.S. Senate and want to keep him there,” Cubin said. Criticisms for taking funds from industries important to the state or from the medical industry that Barrasso pursued his career in are unfair, he said. “Anyone who asserts that the mining industry has to buy influence in Wyoming is out to lunch,” Cubin said. “Mining has political influence in Wyoming because there are thousands of high-paying jobs in mining in Wyoming. “There is not a politician in either party in this state who doesn’t want to protect those jobs and who wouldn’t act aggressively to do just that. The bottom line is mining in this state is influential because it supports thousands of families, either directly or indirectly, and provides hundreds of millions of dollars in revenue to state coffers,” Cubin said. — Bill McCarthy is a freelance writer and editor who lives in Cheyenne. Banner photo by Gage Skidmore/Flickr. REPUBLISH THIS STORY: For details on how you can republish this story or other WyoFile content for free, click here. If you enjoyed this article and would like to see more quality Wyoming journalism, please consider supporting WyoFile: a non-partisan, non-profit news organization dedicated to in-depth reporting on Wyoming’s people, places and policy. I really appreciate these articles – there are too few news sources that attempt to dig into the mechanical interstices of political campaigning, and this is one of them. One suggestion: given that the “Leadership PACs” have registries with names associated with them, would it be possible to dig a little deeper? Who are these people and what does “leadership” mean? It would be nice to open up some of these euphemistically named PACs to a little public scrutiny. Brodie Farquhar is correct – John Barrasso is simply good value for money. I find it very hard to believe that Wyoming residents feel “represented” by the positions he’s take on financial sector reform, for example. Those who donate to his campaign do so because they see good value for money. Joe Milczewski is sadly misinformed about what the Wyoming Democratic Party is up to these days. We are in fact busy recruiting candidates for future races, providing training in communications, voter canvassing and data management to candidates and their volunteers. We’ve moved our party headquarters to Cheyenne where we can be more responsive to our legislators’ needs during the upcoming session. We’ve developed and distributed a campaign manual for candidates and have a draft, long-range operations plan before our executive board. Meanwhile, fund-raising is moving apace in a tough Citizens United decision environment, where the far right and billionaires like the Koch brothers enjoy considerable advantages. I invite Joe and Wyofile readers to check out the new website for the Wyoming Democratic Party (just Google it) where I strive to keep visitors apprised of the latest and best political news and views (based on my 37-years of professional judgement). The site features information about the party (bylaws and platform), elected Democrats, the party’s executive committee, headquarters staff, contact information for the party in each county, information about all our candidates, how to “pitch in” as a volunteer or financial contributor, news and views, upcoming events, etc. If Joe is curious about what we’re up to, he should ask us. All the contact information he could possibly need is at our new website. I write Barrasso, Enzi and Lummis on a regular basis, and always get the standard form letters in return, mostly by e-mail. I sometimes even get the same form letter for different questions. And dare I say it, on many, for all three, the responses are right-wing talking points or either a spin for their right-wing agenda, or in many cases, especially with Lummis out and out lies. They make up stuff, hoping the constituent who actually wrote them does not do his or her research. I do my research. If anyone thinks that politicians aren’t influenced by hundreds of thousands of dollars in donations from a particular interest group needs to have their head examined. Please don’t piss on me and tell me it’s raining. I too have noticed Barrasso, who I now call Johnny “TV” Barrasso as his YouTube page can attest too, is always behind McConnell when he’s giving a presser. God help poor McConnell if he ever stops short before he gets to the mikes, as they’ll need crowbars to peel the 2 apart. I knew Barrasso was bought with money by his early votes against SCHIP and other votes. Yes, a doctor voting against medical care for low to moderate income and uninsured family’s children. Yep, that’s my kind of doctor, first to do no harm. Then Barrasso kept repeating the same talking-point about all these Canadians he treated who came to him for treatment because socialized medicine, like they were calling the PPACA Bill at the time was evil and they couldn’t get that care in Canada. I asked many a time how many patients he actually treated, and would any of them want to verify these statements, yet nary a response on that from Barrasso’s camp. Nor would he comment on me pointing out that we already have socialized medicine here in the US, in the form of Medicare and the VA Healthcare system, which I am a patient in. He has increased his responses over the last 6 months though, probably because it’s an election year I’m guessing. If you’ve ever watched him on a TV interview, it’s as if he has a CD placed in his head, as he repeats the same talking-point over and over again, sort of like a “Stepford Politician” and when he actually gets questioned by a real reporter/journalist and it’s off his pre-programmed script, he gets all flustered, likes he’s incapable of an original thought. Let’s face it, politicians lie—it’s part of the job, but some do it more then others, and politicians are hypocrites, also part of the job for many, and politicians take campaign contributions which gives the givers a disproportionate influence, the ole quid pro quo which happens across the board, and to deny that fact shows you are either lying or just out and out ignorant. How kind of you to notice I used to work at the Star-Tribune and am still alive and doing work every day. Whatever bias you are non- specifically accusing me of escapes my recollection, as I confess I don’t know who you are exactly. I assure you, the jobs I have held the last 11 years were not a reward of any kind, but a responsibility I took seriously and still do. Sincere best wishes to you, for at least you appear to have been reading the paper all those years ago. What embarrassing, and unfortunately unsurprising, comments from Brodie Farquhar. Political differences are no cause for that kind of poisonous language, especially in a place like Wyoming. But, I guess that’s all Brodie and the Wyoming Democrat Party can do – because they are certainly not out there recruiting candidates, raising money or training volunteers. Hope Brodie feels proud about how he earns his (salary). None of the following should reflect on the author of this piece, I have found Bill to be a good guy who calls it like he sees it. However, it’s good the see the Casper Star Alumni crew continue to show their liberal colors both as reporters and editors for the Casper Star as well as in their follow on jobs given to them as a reward for their biased reporting. Brodie now works for WY State Democratic party as a political hack (much like his time at CST where he even engaged in bigoted reporting hammering the LDS community regularly). Jason Marsden now works as an executive for Matthew Shepard Foundation after a stint as the lobbyist for the League of Conservation Voters (that’s the large umbrella enviro group for WY). And let’s not forget the trio of folks that graduated from their liberal CST work into Governor Freudenthal’s democratic administration. Don’t even get me started on Dustin Bleizeffer who edits this liberal’s website’s pages (I don’t this truthful comment will pass his liberal filter). Any time McConnell bellies up to the press and TV cameras, Dr. Barrasso is right behind him, showing his support as a member of the Senate leadership. Hill legend and lore says that the surest way to get runover is to stand between Dr. B and a Fox camera crew. A side observation: I’ve closely examined the websites of Barrasso, Enzi and Lummis, and not a one says where or when our congressional delegation is going to be in Wyoming communities and events. Enzi’s site used to provide that public service, but not any more. Methinks they’re none too anxious to encounter regular folks, outside of a friendly audience. Industry bosses and managers give Sen. Barrasso campaign money because he protects their financial interests, not for his boyish grin. It is self interest which drives campaign donations. 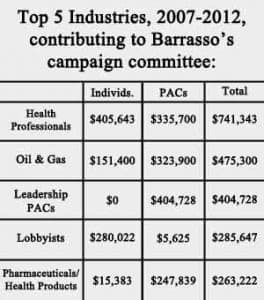 Since most campaign donations to Barrasso come from out of state, those donors want their interests protected and know nothing, and care less, how the good doctor represents Wyoming citizens. So who does Barrasso really represent? I may not live in Wyoming, but this could be “any state USA”. I think you should do a piece titled “Dark Money” and now I have to go look up Air War College….I have never heard of that! A dismal snapshot of mainstream Wyoming politics. The really depressing part is that Barrasso is for sale so cheap. And I guess that means we are too. Thomas Nast would have drawn him as a parrot on Warren Buffett’s (or Mitch McConnell’s) shoulder.